After going 10-22 in his first season and 15-18 in his second, Lew Hill guided the University of Texas Rio Grande Valley to 19 wins in 2018-19. After his team rallied from 19 points down to pull within three against top-seeded New Mexico State in the Western Athletic Conference semifinals Friday, it was mentioned to Lew Hill that the comeback brought back memories of Wink Adams and Curtis Terry and those hard-nosed Lon Kruger UNLV teams for which Hill was an assistant. All that was lacking were a few palm slaps on the defensive end of the court. Though Hill’s new team, UTRGV — University of Texas Rio Grande Valley in Edinburg — ultimately came up short 79-72, the trip down memory lane brought a smile to his face during the postgame news conference at Orleans Arena. 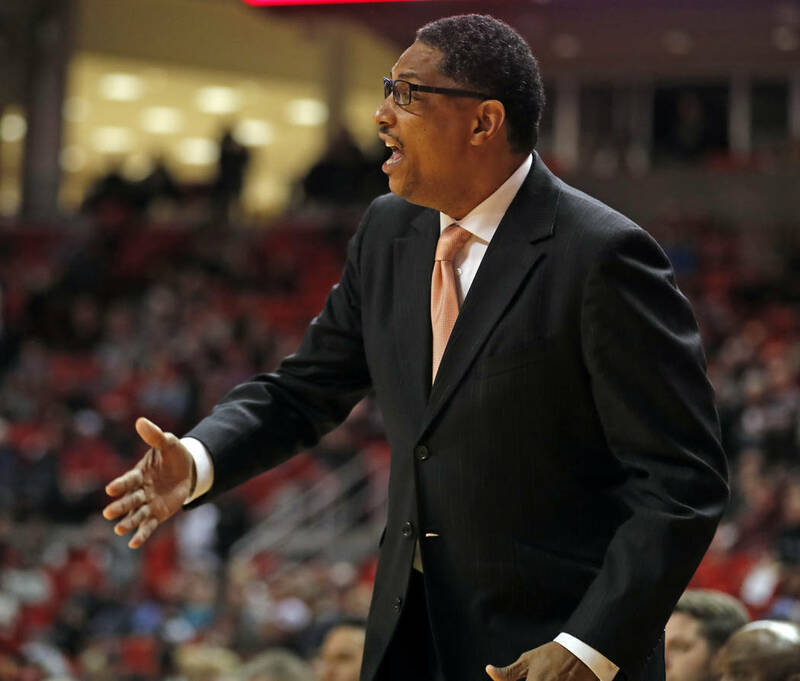 After sitting on Kruger’s bench for 12 seasons at UNLV and Oklahoma, Hill accepted the challenge of rebuilding the program at UTRGV — the same school that gave Kruger his coaching start when it was called Texas-Pan American. After going 10-22 in his first season and 15-18 in his second, Hill guided the Vaqueros to 19 wins in 2018-19. He’s a finalist for the Ben Jobe Award, presented annually to the top minority coach in Division I. Under Hill, UTRGV had one of its best defensive seasons in program history. The Vaqueros ranked in the top five in the NCAA in steals, steals per game, turnover margin and turnovers forced. UTRGV nearly upset No. 11 Houston in late November and rallied from 24 points down to stun Lamar. It’s a team Kruger would have been proud to call his own. If you read between the lines of his media guide bio, there’s an additional item linking Hill to UNLV. 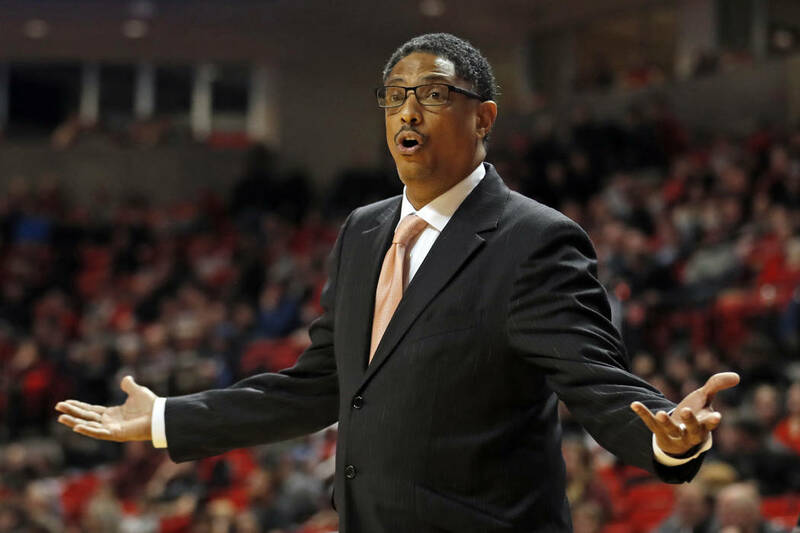 Eddie Fogler, for whom he starred at Wichita State, is heading the search committee that will help the Rebels identify a replacement for Marvin Menzies, who was fired Friday. Oklahoma will open next season on the road at UT Rio Grande Valley and UTSA, per a source. Both schools coached by former Lon Kruger assistants — Lew Hill and Steve Henson. There were two big upsets at the West Coast Conference tournament at Orleans Arena. The first was St. Mary’s knocking off NCAA No. 1 Gonzaga in the championship game. The second was Gonzaga not appearing until Monday’s semifinals had little impact on casino traffic. “Not really, didn’t seem to impact us much,” Orleans general manager Tony Taeubel said about Gonzaga making a deal with the WCC to bypass the early rounds. He said many Zags fans purchased all-tourney tickets and showed up for the weekend games anyway. He also said The Orleans and WCC have signed a three-year extension, making it 14 straight years the WCC will decide its postseason championship at Orleans Arena. It can be assumed that Oliver Douglas, Mr. Haney, Eb the farmhand and Fred, Doris and Arnold Ziffel — and the other characters from “Green Acres” whose names I seem to have forgotten — are pulling for the New Mexico State Aggies during March Madness. On Feb. 1, the College of Southern Nevada baseball team was 2-4, giving credence to the notion the Coyotes had slipped a bit from their usual high standard. Coach Nick Garritano and company — with the company comprised mostly of players from Southern Nevada — have reeled off a Cleveland Indians-like 21 consecutive victories to vault to No. 5 in the National Junior College Athletic Association poll. Their latest win came Friday, when Nick Rupp (Spring Valley) and Trever Berg (Basic) combined on a no-hitter in the second game of a doubleheader at Colorado Northwestern. The Mint 400 put out a news release before the big off-road race stating the Bureau of Land Management had reported members of the media were imbibing in marijuana and alcohol on the course. ■ The Mint 400 sells media passes for $150, so it could be that some of the alleged violators were not media in the traditional sense. ■ Hunter S. Thompson, heretofore the world’s most renowned gonzo journalist and wild-eyed Mint 400 correspondent, would have thoroughly enjoyed this year’s race.